Are you ready to welcome spring? ArtsConnect has the answer with one-time workshops. ArtsConnect has designed workshops so that participants can sample a variety of media, meet new friends, and take home a piece of artwork they have created for a low cost. The topics range from oil painting to printmaking, jewelry design, art and wine, to kitchen cabinet makeovers. The instructors are very knowledgeable in their fields and look forward to sharing their skills and time with workshop attendees! Beat the winter grays with this spring-like workshop! 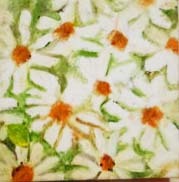 Learn how to paint with oil paints on rice paper in the Oil on Rice Paper Workshop. Marian Fisher will teach participants how to paint, mount, and take home a bright, spring-like image to enhance their homes. All workshops and classes are programmed at the Springfield Township Community Art Center at 9158 Winton Road, building A. To register go to https://www.theartsconnect.us/218/Workshops or call Katherine Smith at (513) 728-4266. ArtsConnect offers a 10% discount on all classes and $10 off each weekly summer camp session for ArtsConnect members! About ArtsConnect: The Springfield Township Arts and Enrichment Council, d.b.a. ArtsConnect™, is a 501(c)3 organization established to create an engaged and vibrant community through the arts and events. To learn more visit www.TheArtsConnect.Us.